A video is at the bottom of the page for a visual walk through if needed. 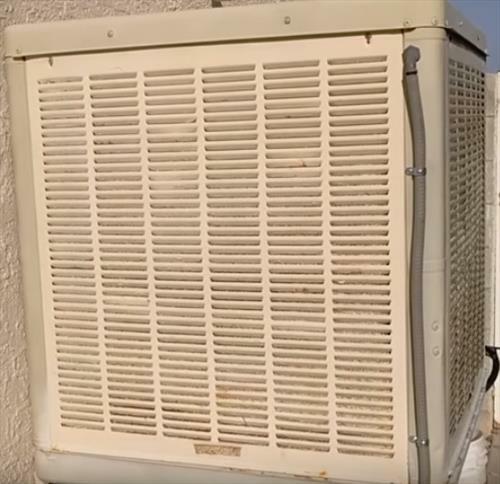 Evaporative coolers need basic maintenance every year to help them last many years. Oiling the bearings on the rib cage fan is one of those things that should be done yearly. Keeping them oiled up is an easy task that helps them last longer and avoid having to replace the bearings. Replacing the bearings on a swamp cooler is a straight forward task but can be a real pain to do so. Which is why keeping them maintained is always a good idea. Below is a quick overview, steps with pictures, and a video if needed. 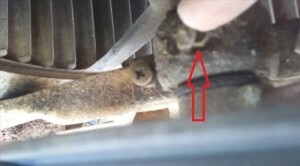 1… Swamp cooler bearing oil is needed which can be bought such as Zoom Sprout oil which is used by many HVAC technicians. It can be bought at Home Depot, True value, or any hardware store. Zoom Sprout oil on Amazon. 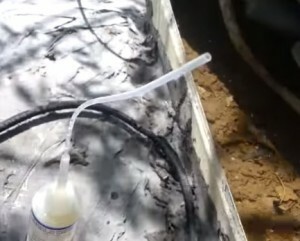 2… After getting the oil, remove the side panels on the swamp cooler. 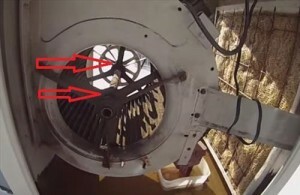 3… There are two bearings on the swamp cooler. The oil is dripped into small covered holes located on the top of each bearing housing. A small tab will cover the hole and simply needs to be lifted up on one side. 4… Zoom Spout oil bottles come with an extender to drip the oil into the oil holes. Simply fill each bearing hole up with oil and the cooler should be good for another year. 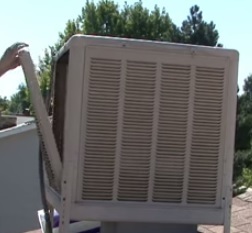 This simple task can help prevent the pain of having to replace the bearings later on and add to the life of a swamp cooler. Servicing mine for the first time (new house, obviously hasn’t been maintained in a bit) and the cap near the belt is missing and it looks like the hole where I put oil in is gunked up. What do I do? My question is do you have to oil a BRAND new swamp cooler or are we good to go u til next season? Thank you for this video, and the written instructions as well!. I heard a strange sound when the roof top swamp cooler was on last night. I had the Zoom container in the cabinet I knew, so I looked up your video, and decided to try and fix the problem by myself this morning. The pictures with the red arrows helped a lot! I’ll admit that I was a little nervous, climbing up on the roof this morning to see if I could remove the side panels off, as the cooler is on a slanted roof. But I did it~ and i just wanted you to know that I am a 63 year “young” woman, and i did it myself! Woo hoo~ Thanks again!